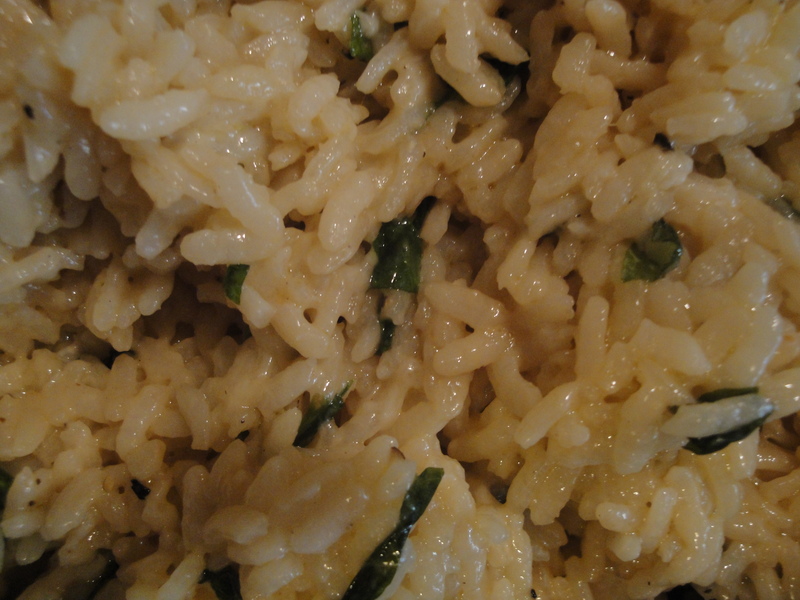 Risotto with Parmesan and Basil | ...and another cup of coffee. I have never made orzo or risotto before but I have been looking for a healthier side dish that didn’t come from a box that would be simple to make. This recipe had originally called for orzo instead of risotto, but I figured I would just use what I had on hand and see what happens. Melt butter over medium heat. Add risotto and saute for a few minutes, until it starts to get golden brown. Add broth and cover and simmer for 20 min, until all broth is absorbed. Remove from heat, add basil and Parmesan, salt and pepper. 3/4 cup serving= 6 ww pts.